In this unique and dynamic live concert experience, Louis C.K.’s exploration of life after 40 destroys politically correct images of modern life with thoughts we have all had… but would rarely admit to. Louis C.K. : Hilarious premiered at The Sundance Film Festival in January as the first stand-up concert film presented at Sundance. Directed by Louis, the film received rave reviews with Variety declaring, “Standup comedy cinema has a new star in Louis C.K. 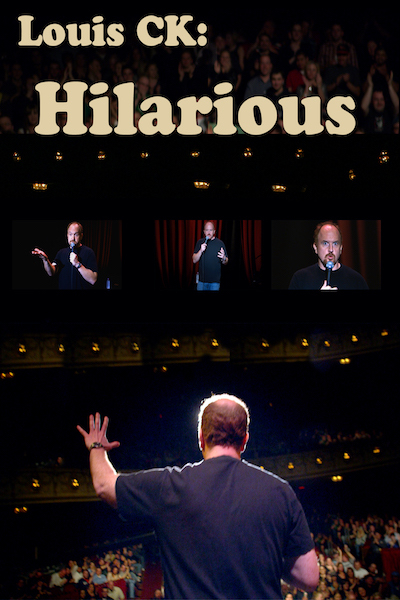 : Hilarious.” Filmed at the Pabst Theater in Milwaukee on April 18, 2009 as part of his international theater tour, Louis C.K. : Hilarious confirms why Louis C.K. is the most respected comedic voice of his generation.